Whether it’s monitoring pipelines, a production facility, drilling operation, or moving product to trucks, rail cars or tankers, you need a partner that is scaled to support your existing and future growth needs. EVANS understands your industry. 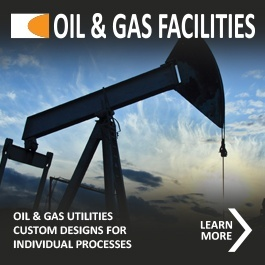 Our solutions support oil and gas control rooms from operator output, profitability, and, most importantly, the safety of your operations. Operational excellence begins with an alert operator. It is imperative that operators maintain a state of readiness for anomalies, control emergencies and critical situations. Our ergonomically designed control room solutions help with fatigue management, critical monitoring, and operator productivity. By considering the placement of equipment and range of motion that impact an operator’s individual environment, our solutions are designed to support the continuous change and high stress during critical situations. Operator comfort helps to streamline operations and improve critical decision making. Refined over the years, our solutions have been adapted to address individual environmental factors such as lighting, temperature, air quality, and height by the operator, enabling peak performance. Communication and collaboration are critical to maintaining the integrity of your day-to-day operations. Our solutions enable operators, supervisors, and management the process visibility they require of real-time data for optimal performance. At EVANS, we understand the importance of flexibility for continuous communication and monitoring of asset management systems to minimize safety risks and economic losses. Employing our experienced team of oil and gas experts, we work with you to determine the configuration that best supports your organization’s communication and collaboration objectives to ensure continuity of operations and minimize the impact of the critical situation. EVANS’ complete range of solutions is designed with a future-proof approach. This provides dynamic flexibility to withstand your day-to-day operations of shift changes, critical situations, and possible increased traffic flow, without jeopardizing durability. Future technology upgrades through the life-cycle of your systems can seamlessly be added to create value overtime without retrofitting. EVANS understands your operations run 24/7, 365 with no downtime to install a new control room. Our seamless approach to ‘Live Cutovers’ means there is zero downtime and minimal disruptions to surrounding areas, allowing your facility to fully operate during installation.